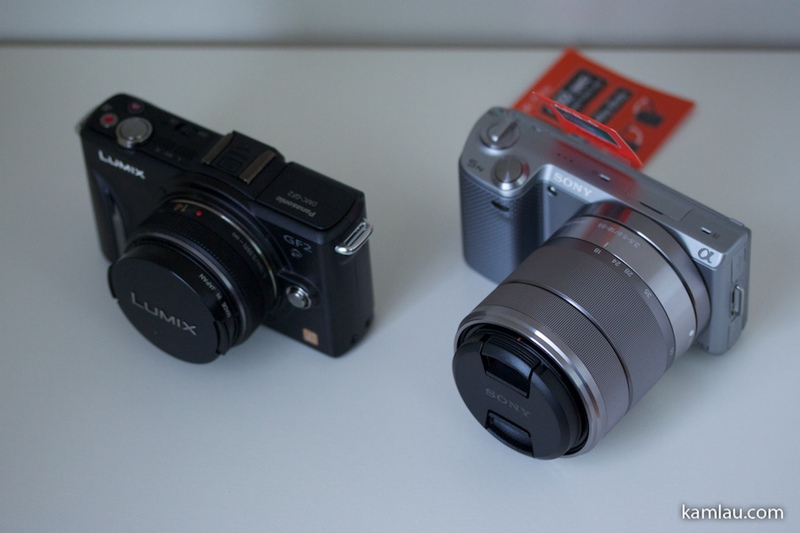 Here are some quick side-by-side physical comparison of the Sony NEX-5N and the Lumix GF2 cameras. The Sony NEX-5N comes with an 18-55mm zoom lens. The equivalent 35mm focal length is 27-82mm (1.5x crop factor). The Lumix GF2 comes with a 14mm pancake lens with an equivalent 35mm focal length of 28mm (2.0x crop factor). Obviously, the Sony zoom lens made the camera much less portable. 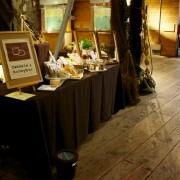 It will be difficult to fit it into your jacket pocket for example. 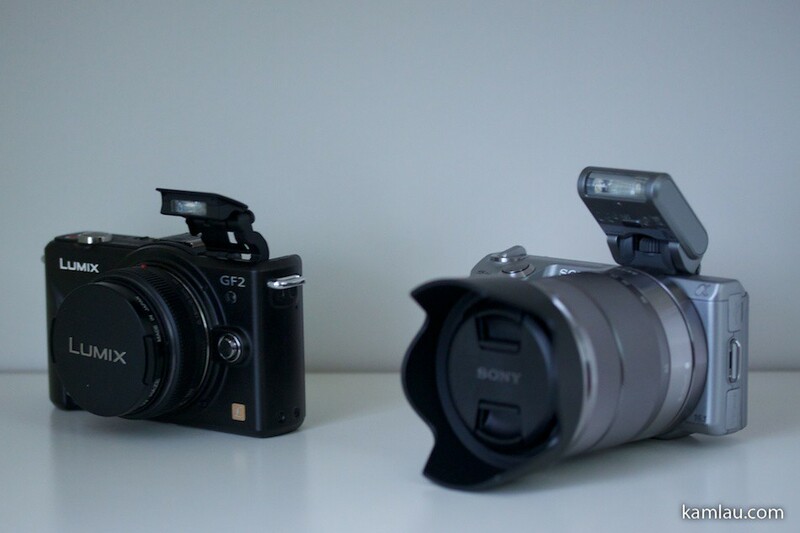 The grip on the Sony NEX-5N is much more significant than the little curve on the Lumix GF2 body. 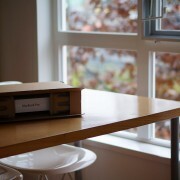 This makes handling the Sony NEX-5N a lot easier and with more confident. The grip on the Sony NEX-5N is very solid and the hard plastic provides a much less slippery surface than that of the anodized finish of the Lumix GF2. The LCDs of these two cameras are very similar in size but quite different in resolution. 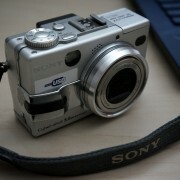 The Sony NEX-5N is equipped with a 3″ 920,000 dot LCD screen. 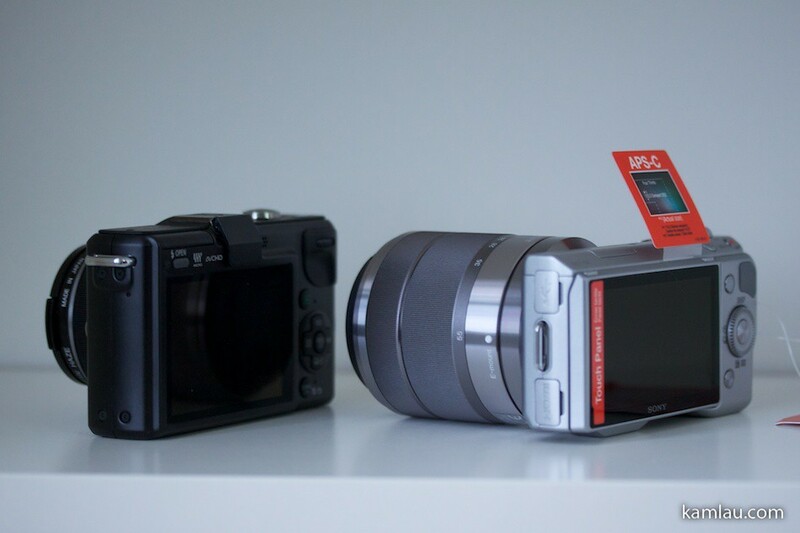 The Lumix GF2 is equipped with a 3″ 460,000 dot LCD screen, carrying only half the resolution of the Sony’s. They are both touch-capable screens. 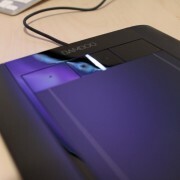 From an operation point of view, the Lumix touch interface is less responsive and less polished. The Sony touch interface responses much like an iPod touch or iPhone. The scrolling of pictures by swiping on the screen from left to right feels a lot more natural on the Sony’s touchscreen. Also, note that Sony NX-5N places the 4-way scroll wheel a bit higher, towards the centre of the body of the camera. The Lumix GF2 has the 4-way command buttons sitting closer to the bottom of the body. In practice, this makes the Lumix GF2 a bit frustrating to use as I sometimes trigger the buttons accidentally just by gripping on to the camera body a bit tighter. The placement of the command buttons might be something you should consider when evaluating a camera. 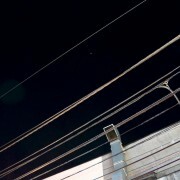 The Sony NEX-5N does not come with a built-in flash. Instead, you are given a small flashlight that attaches to the accessory port. 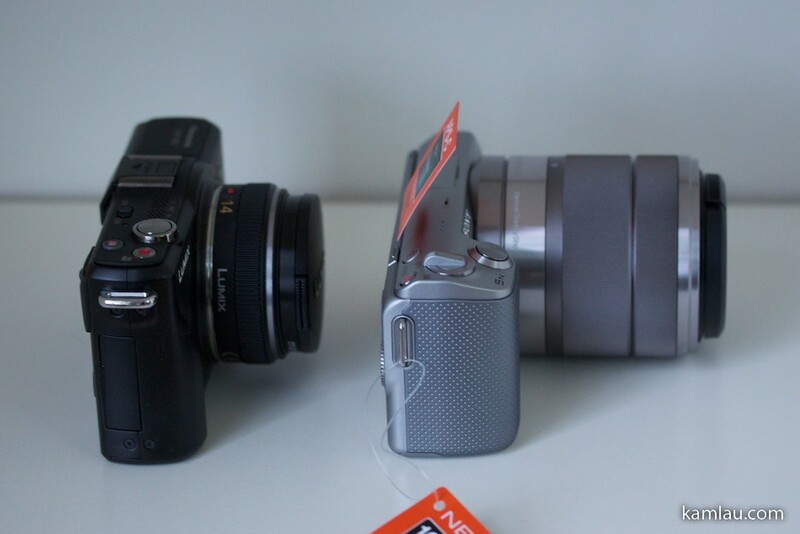 The size of the Sony flashlight is about the same as that of the Lumix GF2. 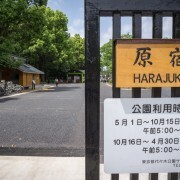 However, it is not built-in and it only points to the front direction. In essence, it takes up a little more room, and you cannot tilt it backwards to bounce your flash light off the ceiling, which you can easily do with the Lumix GF2. 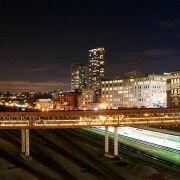 The Sony flash unit is rated to have a maximum range of 7 meters whereas the Lumix GF2 built-in flash is only 6 meters. However, the Lumix GF2 has a real hot-shoe so you can fit it with a much more powerful flashlight. The Sony NEX-5N does not come with a hot-shoe. Sony offers a slightly bigger flash unit that fits onto the same accessory port that allows you to flick it up for bouncing light off the ceiling. But that will cost you an extra US$150. One of the most important difference between the Sony NEX series cameras and the micro 4/3 system is the sensor size. When you put them side by side, you can really tell the difference between the sizes. The micro 4/3 system sensor size is 17.3 x 13 mm and has a crop factor of 2.0x. The Sony uses an APS-C size (23.4 x 15.6 mm) sensor with a crop factor of 1.5x. 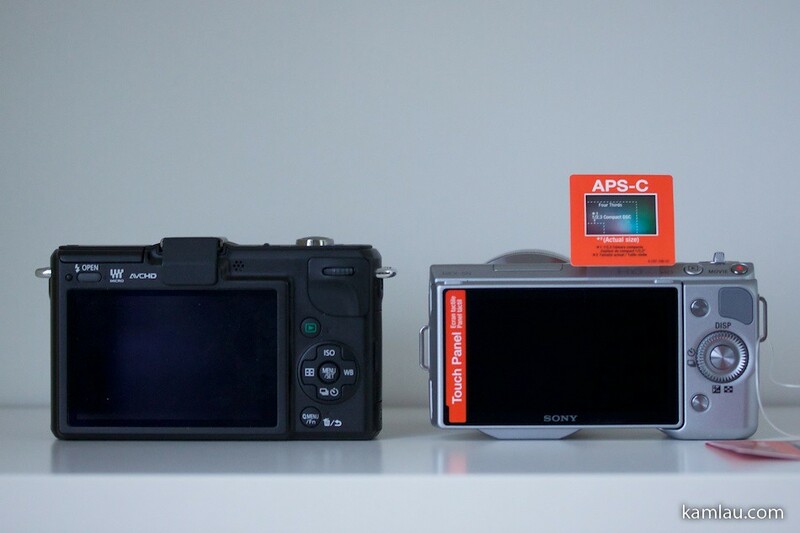 The APS-C size sensor is the same size as those used in cropped DSLR bodies like the Nikon, Canon and Sony. In practice, I did find the Lumix GF2 having some significant image noise issues that makes the images produced much less than satisfactory. 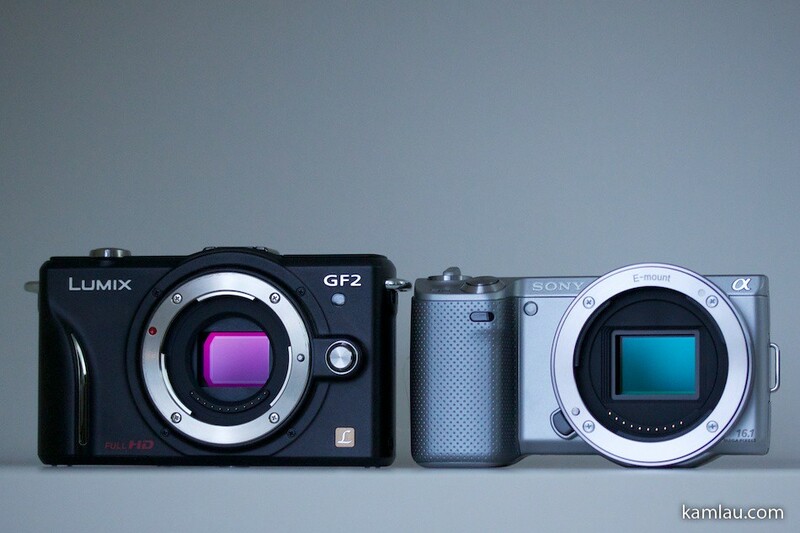 The Sony NEX-5N sensor has 16 megapixels, the Lumix GF2 has 12 megapixels. These days, more pixels do not necessary mean better picture quality, it only means the files are bigger. Unless you need to blow up your photos to wall size images, the high-resolution sensor does not necessary be any more beneficial. More about the image comparison in my next blog post. It is the trend :) Smaller means lighter bag of gear!